The disciples of Jesus -- some of whom became the chosen twelve – were not rabbis or biblical scholars. They were ordinary men who were called to an extraordinary task for the Lord. The chosen twelve would be the foundation stones of God's Kingdom with Jesus as the Chief Cornerstone and the Capstone – the beginning an the end. Luke 6:13: When morning came, He called His disciples to Him and chose twelve of them, whom He also designated as apostles. Jesus personally chose these twelve men out of His multitude of disciples to begin preaching the gospel of Jesus Christ and advancing His kingdom on earth as it is in heaven. The advancement of His kingdom hung on this small remnant of ordinary men who were chosen and empowered at Pentecost with the power of the Holy Spirit. Jesus starting small would pour Himself into these chosen ones teaching, training and equipping them to establish His Kingdom on earth. Most of the early disciples were from Galilee, not Judea. Galilee was a fertile agricultural region where trade routes intersected and where both Jews and Gentiles lived. Jesus often retreated there when being threatened in Jerusalem and Judea. John the Baptist has paved the way for Jesus by preaching confession and repentance, and baptizing those who responded. John the Baptist's sole purpose was to preach repentance, baptize and point people to Jesus. John the Baptist had a large following that reached even beyond Israel. He had tremendous influence on multitudes, yet John the Baptist had no problem stepping aside and telling his disciples to follow Jesus. God had introduced John the Baptist to Jesus while they were both still in their mother's womb. They were connected Spirit to Spirit in their mothers' wombs. John had been waiting for Jesus to come for years. Andrew and Peter were brothers. John the Baptist planted the seed of truth and stirred the hearts of some of his followers – in particular Andrew and John. When Andrew and John heard John the Baptist say that Jesus is the Lamb of God, they believed their respected teacher and eventually left John with his blessings to follow Jesus. After believing in Christ, Andrew then went to find his brother Simon to share the good news that he had seen the Messiah. The Apostle John writes about their initial conversion to Jesus through the witness of John the Baptist, but the other gospels tell of the time that they left everything to follow Him. It seems that after their initial acceptance of Jesus, Andrew and his brother Peter returned to their trade as fishermen, because the other gospels say that Andrew and Peter were casting their nets into the sea and cleansing their nets to catch all types of fish when Jesus said to them, “Come, follow Me and I will make you fishers of men.” Matthew 4:19; Mark 1:17 Jesus will take their natural ability and use it in the supernatural. In the gospel of John, Andrew and Peter had met Jesus, but in Matthew and Mark they decided to leave everything and follow Him as His disciples. Andrew, Peter, Philip and John lived in Bethsaida, a village on the shore of the Sea of Galilee. Bethsaida means the “house of fish.” Jesus would take these four and use them to be fishers of men who would become the House of God. Jesus made it clear that his early disciples didn't choose Him, but that He chose them. (see John 15:16) Jesus knew all of their imperfections but chose them anyway, including Judas. Jesus who is all-knowing knew that Judas would betray Him, yet still chose him because Jesus knew that Judas would be instrumental in carrying out God's plan of redemption through His death and resurrection. Throughout the 3 ½ years that Jesus ministered on earth, He who is all-knowing treated Judas the same as He treated all of the others even knowing that Judas would betray Him in the end. John the Baptist had Andrew and John with him when he announced a second time upon seeing Jesus, “Look, the Lamb of God. John the Baptist had already told these two disciples how he knew that Jesus was the true Lamb of God who takes away the sin of the world. God had told John the Baptist that the “man on whom the Spirit comes down and remains is the One who will baptize with the Holy Spirit. I have seen and testify that this is the Son of God.” John 1:23-24 When the Baptist's two disciples heard this, they believed and followed Jesus. In biblical times, disciples would follow behind their Rabbi as they walked from place to place. The Rabbi was their leader. Andrew and John were following behind Jesus when Jesus turned around and asked them, “What do you seek?” They were seeking the truth. They said, “Rabbi (which means teacher), where are you staying?” By calling Jesus Rabbi, it meant that He was their Master and Teacher. These two disciples were following Jesus to learn of Him and from Him. They didn't want just a passing, casual relationship with Jesus. They wanted to know where He was staying and abide with Him. Jesus responded to Andrew and John, “Come and you will see.” In other words, “walk with Me and you will see.” So they went and saw where He was staying and spent that day with Him. vv38-39 While they were abiding with Jesus through the day, no doubt they were asking Him many questions. His responses made Andrew see that Jesus was the True Messiah so he hurried to find his brother Simon to let him know that he had seen the long-awaited Messiah. Simon was not impressed. There had been many men coming to the Promised Land claiming that they were the Messiah, so Simon thought it was just another false messiah that Andrew had met. In response to Peter's skepticism and doubt, Andrew tells Simon to come and see for himself! People can bring us to Jesus, but ultimately we must see Him for ourselves. Jesus immediately recognized Simon and called him by name. “You are Simon, son of Jonah. You will be called Cephas (which when translated is Peter).” v42 A change of name indicates a spiritual calling. In biblical times, a person is identified by who his father is or by what region they are from – i.e. Jesus of Nazareth or Simon of Cyrene. Simon is Cephas in Aramaic but translated Peter and means a rock or stone. Peter is his God-given name (spiritual). Jonah means “dove.” Jesus will take this bold, impatient, sometimes impulsive and violent man and transform him into a living stone in His temple who will be a son of the dove (Holy Spirit). The fact that Jesus knew Peter's name and his father's name probably removed any doubt that Peter had regarding Jesus being the Messiah. Peter and Andrew were eventually chosen by Jesus as apostles. Jesus gave them the power of the Holy Spirit to do supernatural things. Andrew was a soul-winner and one who meets needs. He brought his brother to Jesus, the boy with the 5 loaves and 2 fish and with Philip brought some Greeks (gentiles) to Jesus. Andrew was a fisher of men. He had fished for all kinds of fish in the sea of Galilee, but in the supernatural he became a fisher of all kinds of humans and brought them to Jesus. Peter eventually became a mighty and bold evangelist. He too was a fisher of all kinds of humans. He began witnessing of Christ to the Jews but then also went to the Gentiles. Peter was a leader, whereas Andrew kept in the background. Peter often acted as the spokesperson to the twelve chosen ones. His boldness and aggressiveness made him a great leader but these traits also got him into trouble sometimes. 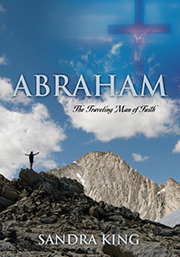 Sometimes his passions drove him instead of his faith in God. There were times when Peter overstepped his boundaries. These are things all Christians must be careful of. At Pentecost, Peter was so overcome by the Holy Spirit that he began to preach with fire to the crowd and 3,000 people believed in Jesus and were saved. It was Peter by the power of the Holy Spirit who identified Jesus as the Christ. (see Matthew 16:16) It was Peter who had the courage to step out of the boat by faith in Jesus' Word. (see Matthew 14:28-33) Peter was a risk-taker. Peter also dove out of the boat in John 22 when he saw the resurrected Lord on the shore. Peter was willing to leave the safe and comfortable place to come to the Lord. Andrew and Peter's ministry were very different, but each were important to the Kingdom of God. Jesus loved them equally even though He may use one in a more visible role. In spite of the fact that Andrew was the one who brought Peter to Jesus, he never showed any jealousy toward his brother. He was willing to take a back seat. Many times Andrew is referred to as Peter's brother and still Andrew showed no resentment or jealousy. Honor and precedence meant nothing to Andrew. All he wanted to do is serve Jesus well.